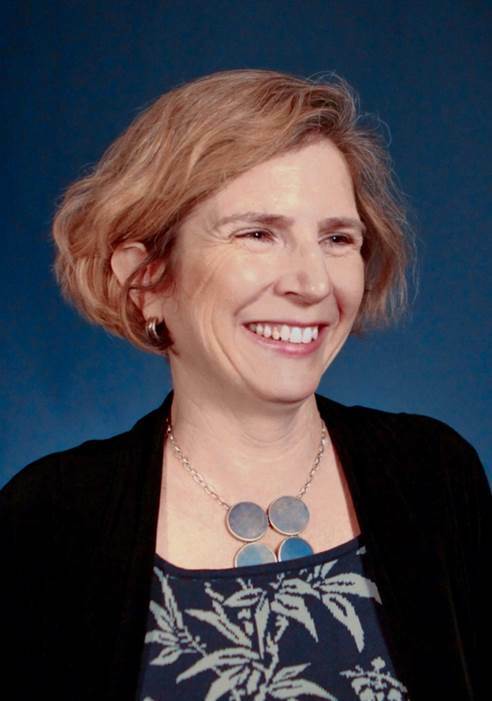 Margaret Levenstein is the director of Inter-university Consortium for Political and Social Research (ICPSR) and Executive Director of Michigan Federal Statistical Research Data Center. An economist, Levenstein first joined ISR’s Survey Research Center (SRC) in 2003 as the executive director of the Michigan Census Research Data Center (MCRDC), a joint project with the U.S. Census Bureau. She has taken an active role at ISR, joining the Director’s Advisory Committee on Diversity in 2009 and serving as the chair of ISR’s Diversity, Equity and Inclusion strategic planning committee and as the liaison to the larger university program. Additionally, Levenstein is associate chair of the American Economic Association’s Committee on the Status of Women in the Economics Profession and past president of the Business History Conference. Levenstein received a Ph.D. in economics from Yale University and a B.A. from Barnard College, Columbia University. Her research and teaching interests include industrial organization, competition policy, business history, data confidentiality protection, and the improvement of economic statistics. Levenstein, Margaret C. and Lyle, Jared A. (2018). Data: Sharing is Caring. Advances in Methods and Practices in Psychological Science, 1(1), 95-103. Levenstein, Margaret C. and Suslow, Valerie Y. (2016). Price Fixing Hits Home: An Empirical Study of US Price-Fixing Conspiracies. Review of Industrial Organization, 48(4), 361-379. Levenstein, Margaret C.; Marvão, Catarina and Suslow, Valerie Y. (2016). Preventing Cartel Recidivism. Antitrust and Joint Ventures, 30(3), 81-88. Levenstein, Margaret C.; Sivadasan, Jagadeesh and Suslow, Valerie Y. (2015). The Effect of Competition on Trade: Evidence from the Collapse of International Cartels. International Journal of Industrial Organization, 39, 56-70. Levenstein, Margaret C. and Suslow, Valerie Y. (2014). How do Cartels use Vertical Restraints? Reflections on Bork’s the Antitrust Paradox. Journal of Law and Economics, 57(S3), S33-S50. Levenstein, Margaret C. and Suslow, Valerie Y. (2014). Cartels and Collusion: Empirical Evidence. 442-463. Oxford University Press:Oxford. Levenstein, Margaret C. (2012). Antitrust and Business History. Southern California Law Review, 85(3), 451-458. Levenstein, Margaret C. (2012). Escape from Equilibrium: Thinking Historically about Firm Responses to Competition. Enterprise & Society, 13(4), 710-728. Levenstein, Margaret C. and Suslow, Valerie Y. (2010). Constant Vigilance: Maintaining Cartel Deterrence during the Great Recession. Competition Policy International, 6(2), 145-162. Levenstein, Margaret C. and Suslow, Valerie Y. (2008). Cartels. In Durlauf,Steven N. and Blume,Lawrence (Ed. ), The New Palgrave Dictionary of Economics. Palgrave Macmillan:Basingstoke, Hampshire ; New York. Levenstein, Margaret C. and Suslow, Valerie Y. (2008). International Cartels: Prevalence and Policy Treatment in Different Epochs. In Collins,Wayne D. and Angland,Joseph (Ed. ), Issues in Competition Law and Policy. ABA Section of Antitrust Law:Chicago. Levenstein, Margaret C.; Lamoreaux, Naomi R. and Sokoloff, Kenneth L. (2008). Financing Invention during the Second Industrial Revolution: Cleveland, Ohio, 1870-1920. In Auerswald,Philip E. and Bozkaya,Ant (Ed. ), Financing Entrepreneurship. Edward Elgar:Cheltenham, UK. Northampton, Mass.